What's the difference between a Camaro T5, an S10 T5 and an Astro T5? 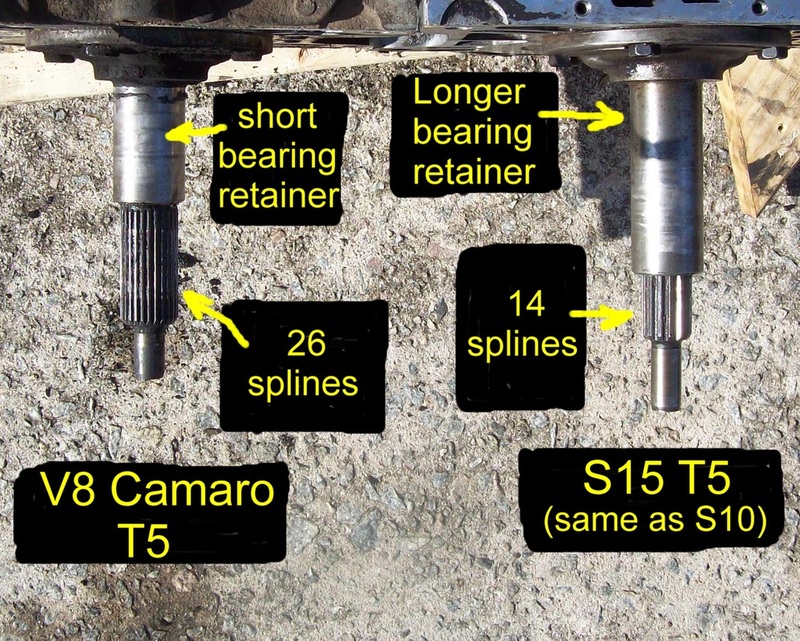 This page will help you recognize the external differences between the Camaro, S10 and Astro T5 transmissions. 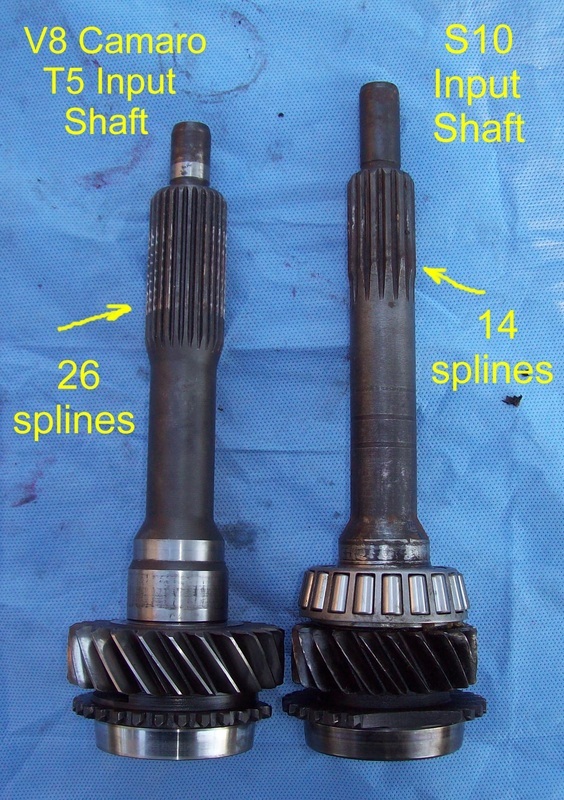 There are differences in shifter box location, input shaft length and diameter, number of input shaft splines and length of the input shaft bearing retainer. 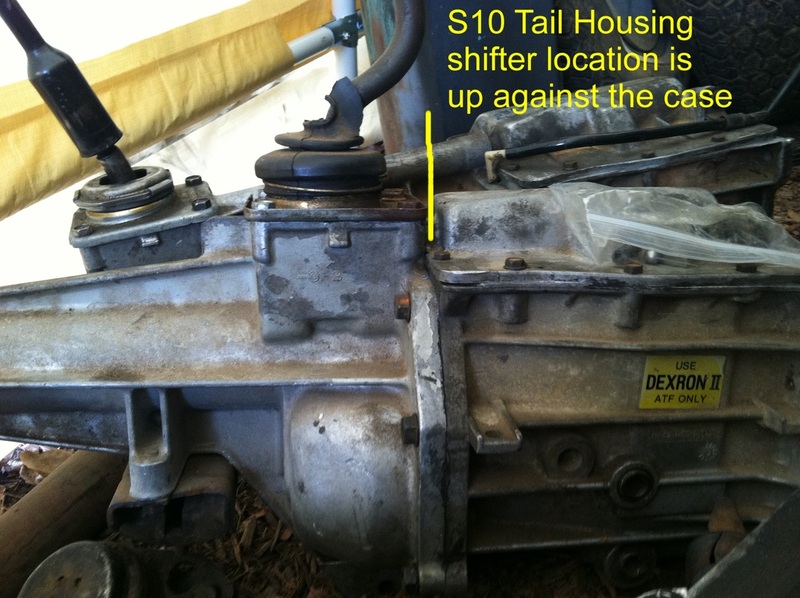 The shifter on a Camaro T5 is located at the very back of the tail housing. The same is true for a Firebird T5. The S10 and S15 shifter box is in a more forward position , up against the case. 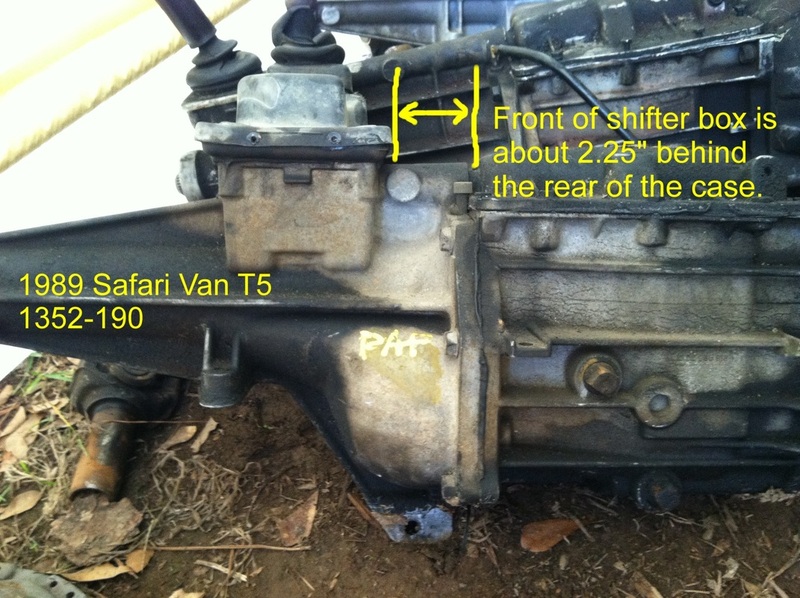 The Astro or Safari van shifter box is about 2.25" further back than the S10/S15 position. The S10 and Astro van shifter position works well with a bench seat. 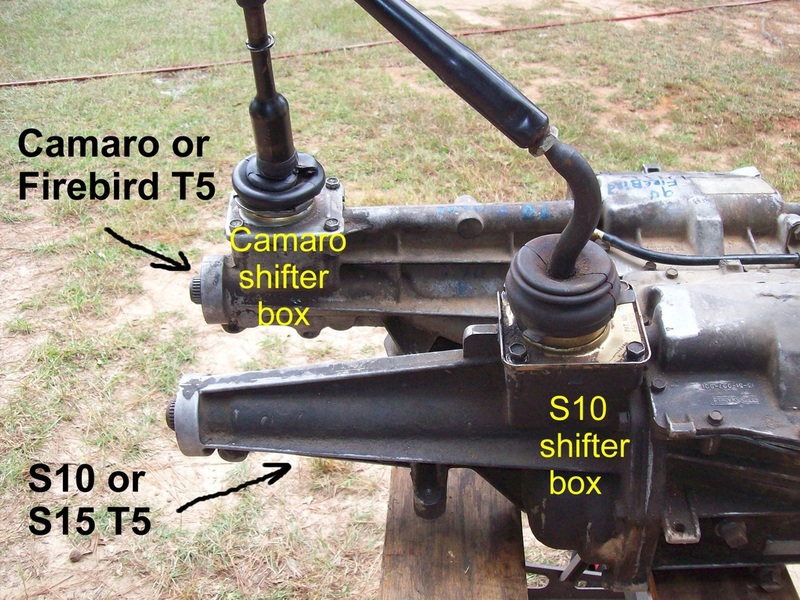 The Camaro T5 can be modified so the shifter is in the S10 or Astro position. 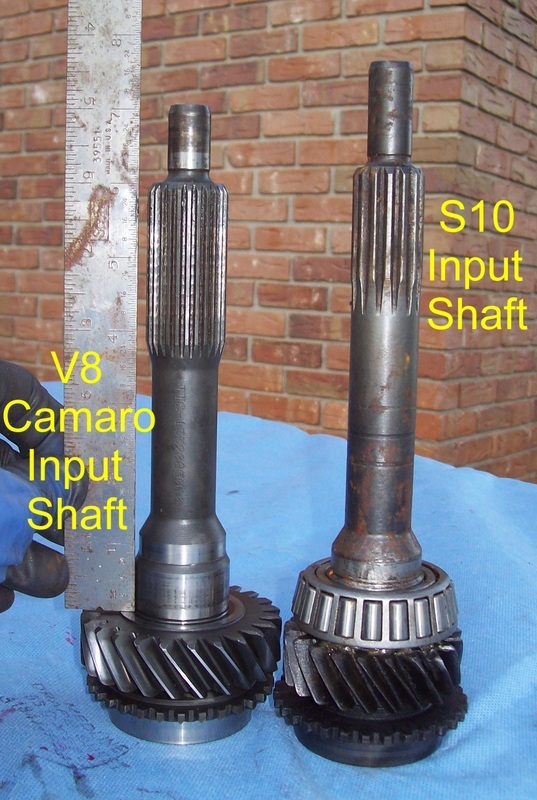 The S10, S15 and V6 Camaro T5s have a longer Input Shaft than the Astro van T5 and V8 Camaro T5. The V6 Camaro input shaft will bolt up without an adapter plate if the pilot tip is cut shorter. 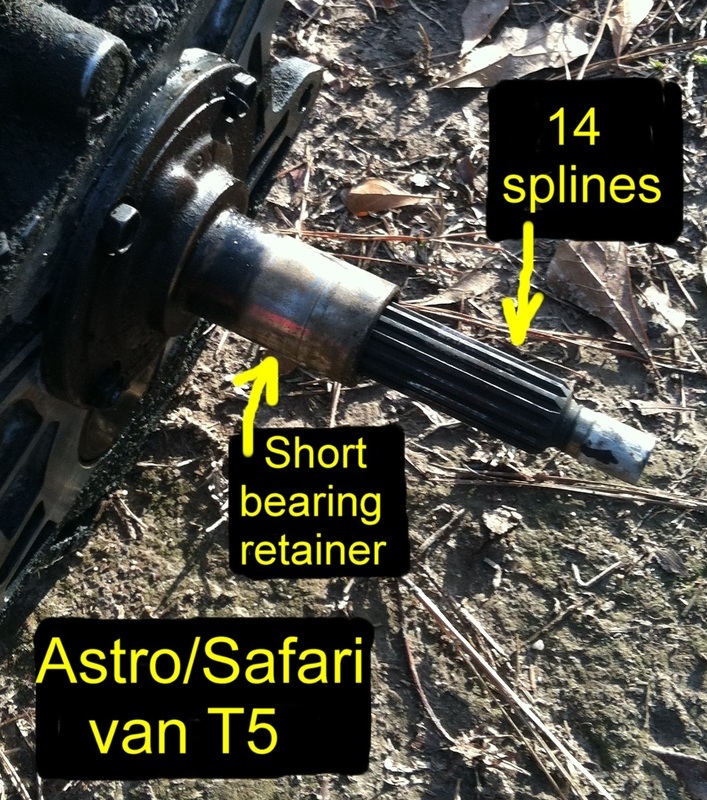 Exchanging the S10 input shaft with a 10 spline Jeep input shaft is a wonderful solution and a way to avoid using an adapter plate. Click HERE to find out more. The Astro T5 and V8 Camaro T5 do not require an adapter plate because the Input Shaft is the correct length.